Zorahgail Balino knows her way around the gym. She can deadlift over 300 pounds, runs half marathons, lifts sandbags, jumps rope, performs weighted pull-ups, and cranks out burpees on the regular. She is strong, well conditioned, and an all around good person. She first emailed me a few years ago after running her first half marathon. I specifically recall the email as she mentioned successfully completing the race with very little distance work beforehand.Â She had apparently trained with some of the routines from my Infinite Intensity book along with one dedicated running session per week. In the time since, I have heard from her on occasion and become accustomed to her impressive exercise videos on Facebook. She is quite well rounded in terms of bodyweight exercise ability, free weight lifting, and endurance. 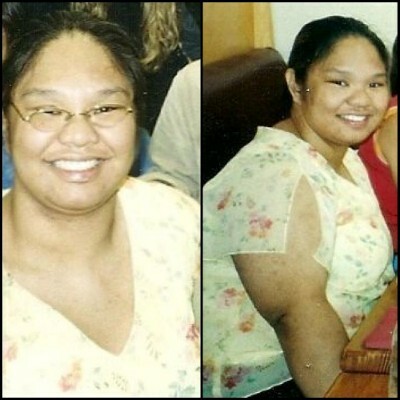 What I didn’t realize about Zorahgail was that she lost over 90 pounds. It wasn’t long ago that she tipped the scales at well over 215 pounds. While I’ve grown accustomed to seeing her perform pull-ups, I had no idea that she performed her first ever pull-up back around the time she first contacted me. She didn’t began exercising until 2006. At the time, she was only able to walk. She started by walking two miles a day. She described the walks as so taxing that they would often bring her to tears. Fortunately, Zorahgail persevered through the difficult times and refused to give up. Look at her now. She’s not just strong for a woman. She’s just plain strong. Yet despite her recent success, don’t expect Zorahgail to slow down anytime soon. 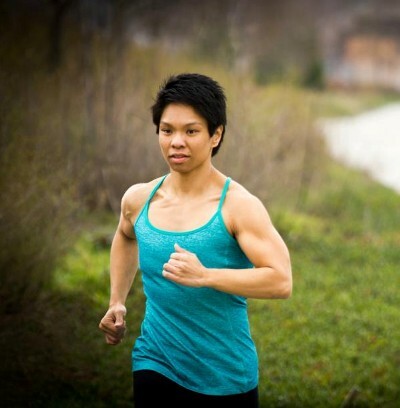 She recently submitted an application to participate in the 2013 American Ninja Warrior television show. The video below was included as part of her application. There are several exercise displays presented throughout the clip. There are also topics discussed that are not exercise related but were part of the application process. Listening to her describe her past makes me appreciate what she has accomplished even more. Zorahgail is not a lifelong athlete. She was a regular person who decided it was time for a change. Looking at the 2nd image of her above, no one in their wildest dreams could have guessed that she’d be running half marathons and knocking out weighted pull-ups with ease. She is certainly a testament to those words. Zorahgail is the epitome of hard and consistent work with the basics. There is nothing fancy about what she does in the gym. She thrives on the basics and continues to DO WORK! Anyone who is hesitant to begin training should find inspiration in her story. It is never to late to start and you may surprise yourself in terms of how much can be accomplished. I wish Zorahgail all the best with American Ninja Warrior and whatever else she decides to pursue. awesome! hard, consistant work and some guideance from Ross does wonders :). good luck to you, Zorahgail!!! Good to note that she started out simply walking. Walking is great exercise for everyone and isn’t just for the out-of-shape or overweight. So many people try to rush getting in shape and quit out of frustration or injuries. Thank you everyone! You guys are awesome! Very proud of you Z..You are Suceeding! In complete awe at what she has achieved!!! Absolutely astounding!!! As a beginner myself to all of this and a female, her story gives me such hope and motivation; that the ordinary person has the power within to move to such heights and gain such strength!!! Thanks for posting this and hope to see a future post of her reaching her goal as American Ninja!!! You are one strong lady inside and out!!!! simply amazing. Very inspirational. 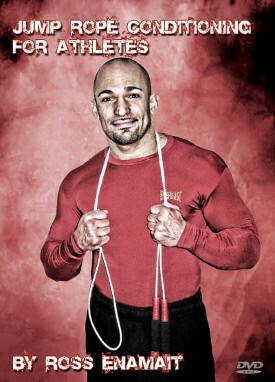 Also goes to show that there is nothing wrong with combining heavy endurance cardio and strength trainig. People are so scared of cardio these days, claiming that it makes you fat and weak. She looks stronger to me. Outstanding work ethic Zorahgail! I showed this to my wife who is just in awe of what you have achieved. Best of luck on American Ninja and Mabuhay ka kababayan!